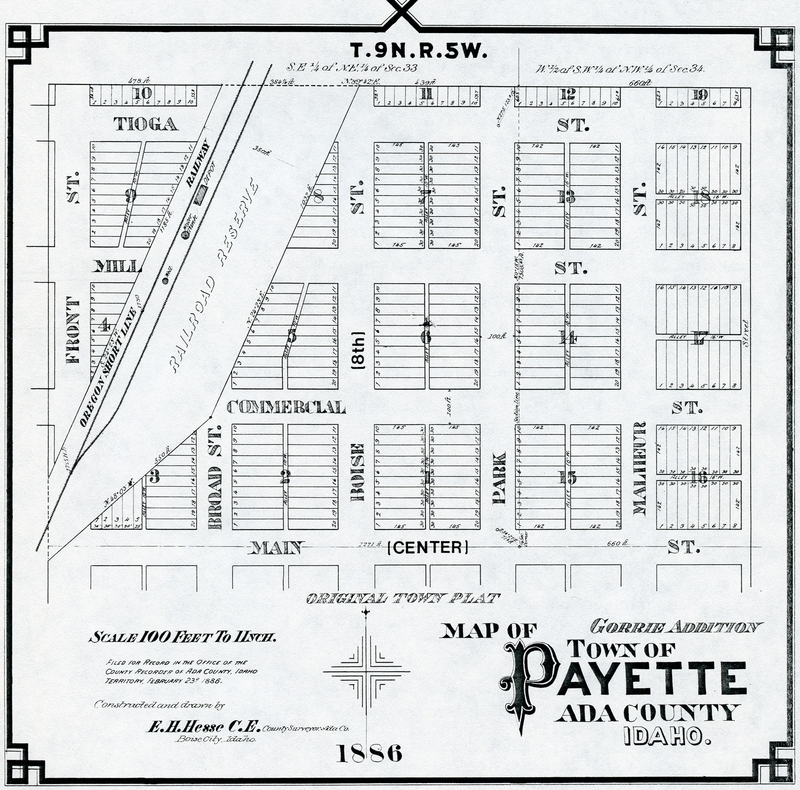 Payette’s original town plat was filed on May 27, 1884 at the request of William F. Masters. Previously, the town had been known as Boomerang. However, with the railroad route being determined by the Oregon Short Line Railroad the original city of Boomerang was relocated adjacent to the railroad and renamed. The town’s new name honored the contributions of Francois Payette. The city of Payette was incorporated in 1891. When Payette County was created in 1917 Payette became the-county seat, which it remains today. At one time Payette had been a part of Ada County and for twenty-six years after that, a part of Canyon County.